My boundless love of silent film comedy made it impossible for me to resist purchasing The Marcel Perez Collection. 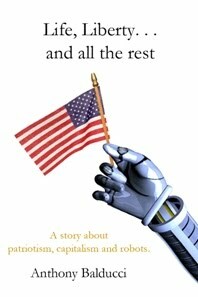 The collection includes ten short films starring and directed by the funny and clever Marcel Perez. 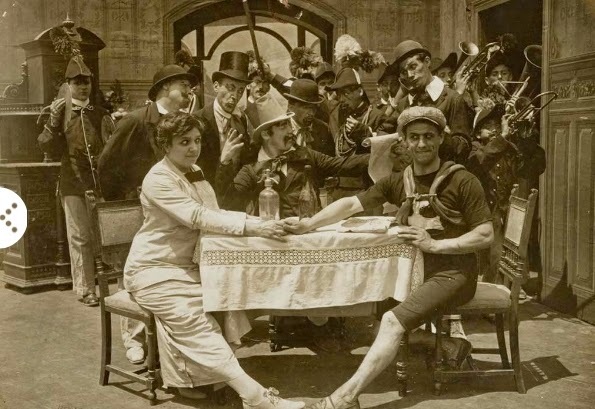 The first five films were produced in Italy between 1911 and 1914. 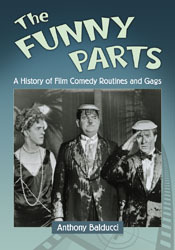 European entertainers played a dominant role in the early history of film comedy. Perez stands out among his vastly talented peers by combining the expressiveness and charm of Max Linder with the goofiness and aggressiveness of André Deed. The best of the DVD's Italian films is Robinet is Loved Too Much By His Wife (1912). At the start of the film, Perez expresses his growing frustration with his overly attentive wife. His wife has, for all of her care and affection, become an annoyance to him. The worst part of having his wife cling to him is that he is unable to enjoy his occasional dalliances with other fair ladies. 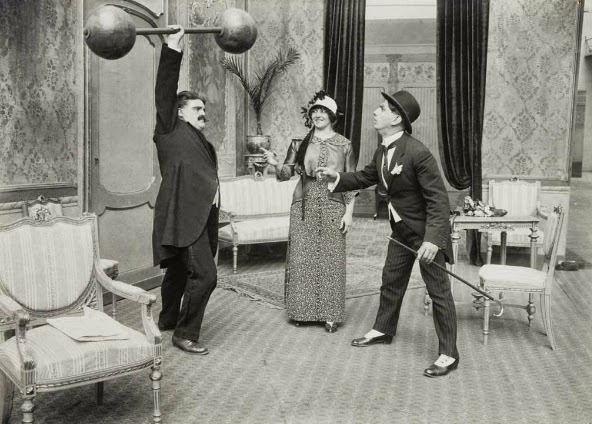 French and Italian comedies of the period were more liberal on the subject of adultery than American comedies. A charming, likable fellow could breezily cheat on his wife and the filmmakers would not find it necessary to have the character punished for his actions. It makes this type of film seem, by modern standards, subversive. 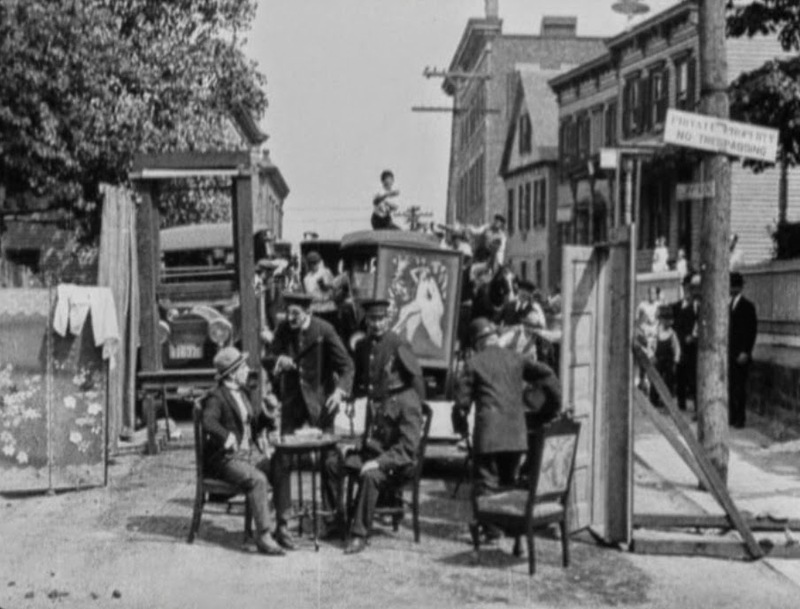 The remaining five films were produced in the United States between 1916 and 1921. A Bathtub Elopement (1916), which was filmed in Florida, is a curious effort by Perez. The filmmaker, who had specialized in European boulevard farces, was trying his best to approximate the rural comedies that were popular in the United States at the time. 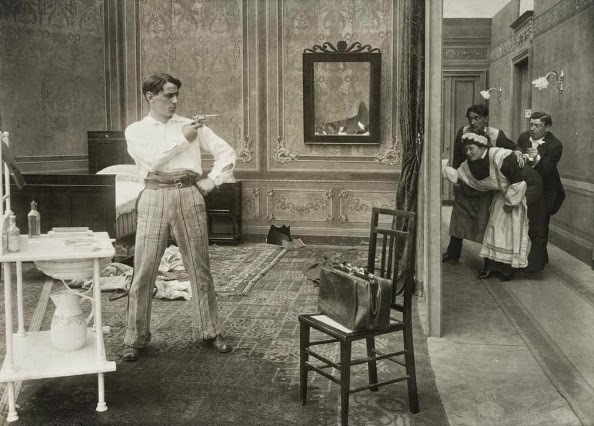 Any comprehensive study of special effects in film comedy should include an examination of A Busy Night (1916), which uses split-screen photography along with clever editing and staging to feature Perez in sixteen different roles. 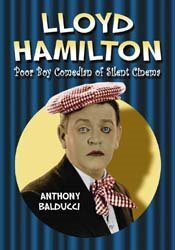 I regard this film so highly for its technical aspects that I wrote about it at length in my last book, Eighteen Comedians of Silent Film. 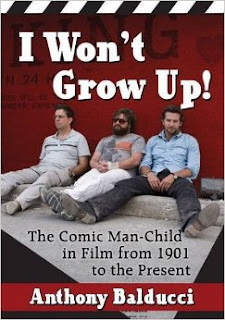 The American comedies of this group are longer and better developed. In You're Next (1919), Perez is tossed out of a boarding house due to unpaid rent. Police arrive on the scene when they learn that Perez's furniture is blocking traffic. The genial officers take pity on the gregarious evictee and allow him take up residence in one of their jail cells. 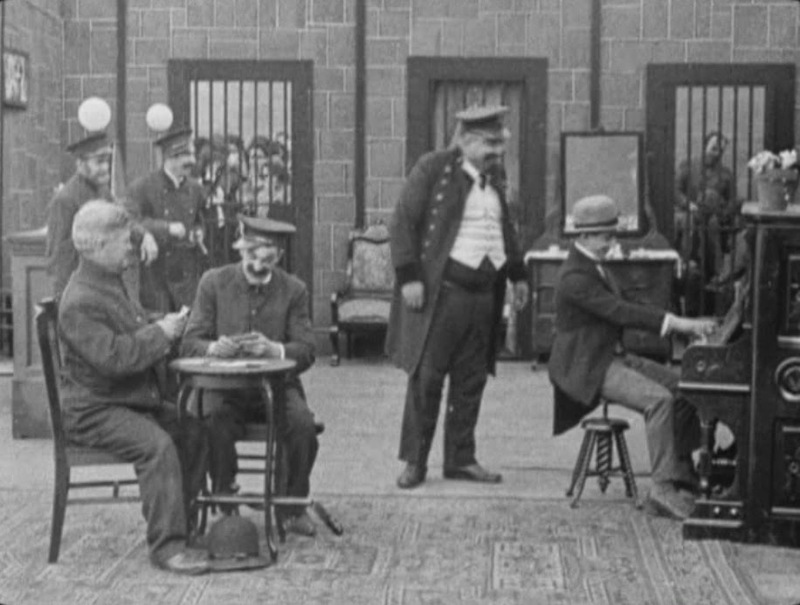 Perez means to bring levity to the jail by banging out a lively tune on his piano. Men and women are released from their holding cells for a merry dance party. The most amusing part of the scene occurs when Perez has to greet the jail's unnerving collection of robbers and murderers, including a notorious "mother-in-law strangler." The women look even rougher than the men. Perez swallows hard when a sturdy little gal named Baby Lobster gives him a flirtatious wink. But, because the inmates are more interested in a breakout than a ballad, Perez's effort to create frivolity only succeeds in creating a riot. Good fellowship has its limits. Later, Perez meets up with a pretty young woman (Dorothy Earle) who has also been evicted from her home. Earle, who was Perez's wife, adds a great deal of charm to the comedian's American films. It is surprising that the actress didn't work outside of the Perez series. The picture quality of these restored prints is exceptional. I have, in my study of silent comedy films, seen so much terribly degraded prints that it is a relief to enjoy prints of this high quality. I have been interested in Perez's work for the last five years. It was not that I sought out his films at first. The truth is that my introduction to Perez came about by mistake. I was conducting research on André Deed when I came upon a film on YouTube that, according to the poster's description, featured Deed as a novice aviator. 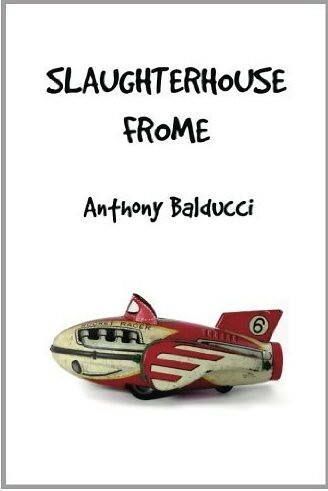 The aviator, who is as clumsy as he is cocky, tears across the Paris skyline in a fish-shaped aircraft. The film was imaginative and it was funny. I later learned from Cole Johnson, a major authority on silent film comedy, that the errant aviator who made me laugh as he smashed up the City of Love was in fact played by Perez. Cole sent me other Perez comedies that he had in his collection. 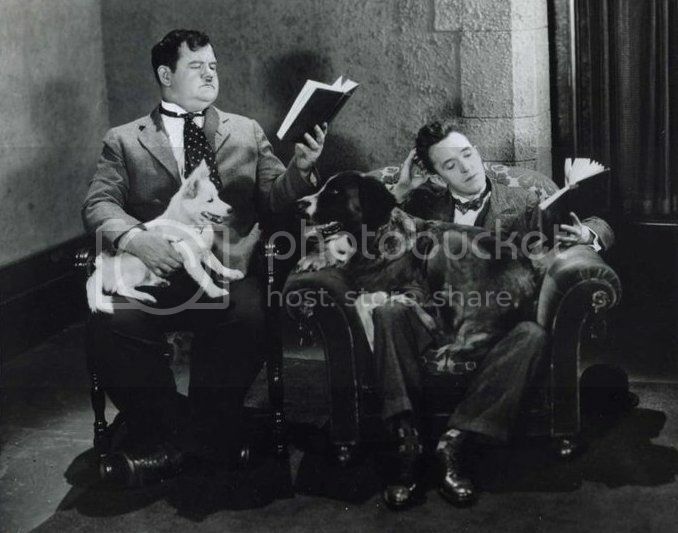 I will always be grateful to Cole for his generous support of my books and his kind efforts to better educate me on the subject of silent film comedy. I benefited greatly from the photos that he contributed to my Lloyd Hamilton biography and my Funny Parts book, but I also valued the encouragement that he provided (always with affection and good humor) and the advice that he provided (always with knowledge and attitude). I make a point to say this because, on January 23, Cole Johnson passed away. I could not help but think of this good man as I was watched Marcel Perez, as clumsy and cocky as ever, create mayhem in the comedies featured on this DVD. 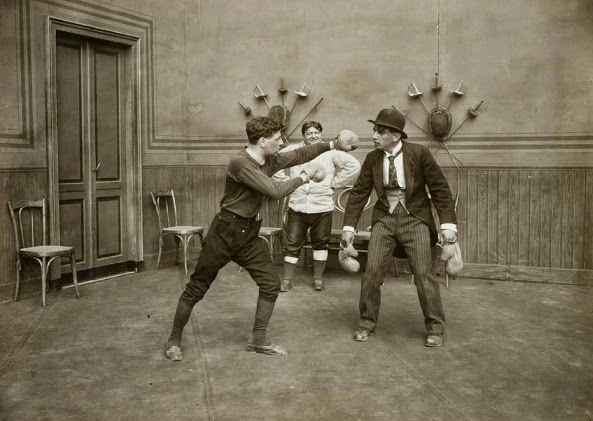 Robinet is Jealous features Perez being subject to a violent rubdown (much like Chaplin would later experience in his 1917 Mutual comedy The Cure). Perez secretly pursues a suspected spy while disguised as a pile of trash in Camouflage (1918). Perez gets a job at a film studio by imitating Chaplin in You're Next (1919). Perez plays a beaten-down husband in Sweet Daddy (1921). As he admires the image of a beautiful woman featured on a billboard, the image magically comes to life. Perez remained a fantasist throughout his career. This is the box cover to The Marcel Perez Collection. Click here to purchase. 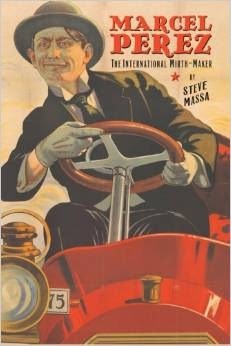 I also recommend this biography of Perez written by Steve Massa. Click here to purchase. 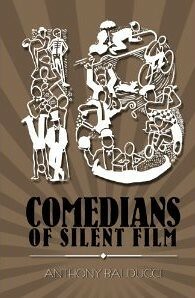 From the press release: "DVD has 10 rare comedy shorts. . . sourced from the Library of Congress and EYE FIlmmuseum seen in new digital transfers and with new musical scores by Ben Model, who also produced the DVD. The 100-page book has more than 50 rare photos from Perez's films." 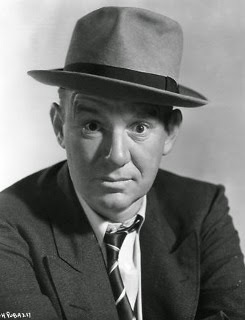 Wise-cracking Ted Healy, whose comic performances enhanced vaudeville programs, Broadway productions and major motion pictures, was a prominent, well-respected entertainer of the 1920s and 1930s. But even the most talented and esteemed stars can easily be forgotten by the public. 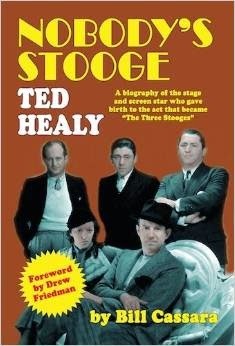 This is a good reason to extol Bill Cassara's Nobody's Stooge: Ted Healy, a well-researched new biography that places the long-neglected Healy back into the spotlight. 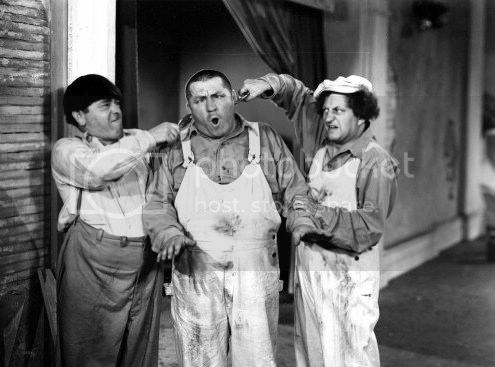 Healy is best known today for his association with the Three Stooges, but Stooges fans have had a hard time agreeing on the importance of his role in Stooges' history. Healy has been called the originator of the Stooges. He's listed that way in his Wikipedia profile. Some prefer to use the word "creator," but this offends people as it suggests that Healy was a god-like figure who endowed the Stooges with their very life while cloistered away in a desolate mountain laboratory. Others will only acknowledge that Healy brought the Stooges together by hiring them as his comic foils. This group refers to Healy as the organizer of the Stooges. Still others refer to him as the Stooges' mentor, which means that he simply worked with the Stooges and a few of his notions about comedy rubbed off on them. Originator, organizer, mentor. We will never know for sure how important he was to the Stooges. Healy likely contributed more to the Stooges' act than most Stooges fans imagine. To start, the Stooges started out as part of a vaudeville entertainment package that was carefully conceived by Healy. He designed the Stooges to be clownish gremlins, causing mayhem as they repeatedly disrupted his act. Didn't they remain clownish gremlins throughout their career? And look at Healy's work. You'll find if you watch Healy in his MGM films that he will occasionally spout a line that later became associated with the Stooges - "Spread out!" and "I'm a victim of circumstance!" He displayed the sort of gruff mannerisms that were later adopted by Shemp. 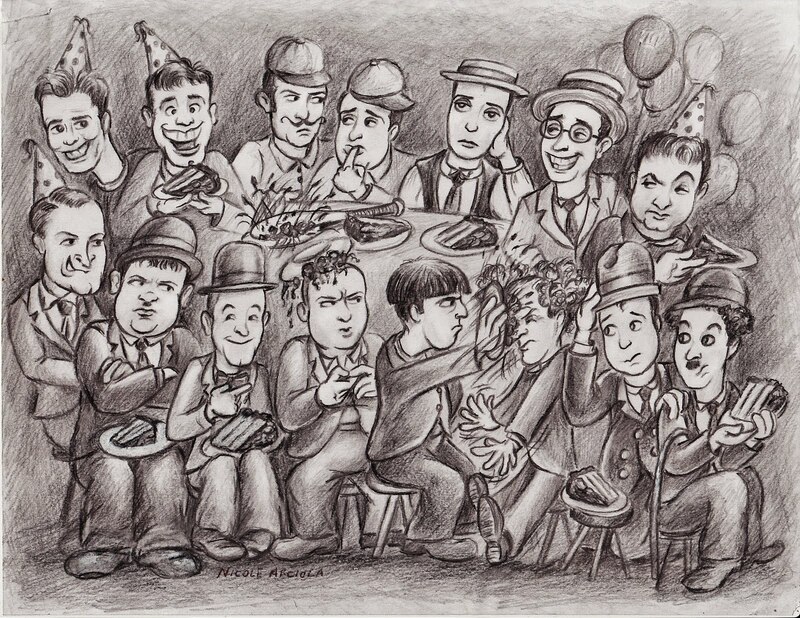 Moe, Larry, Shemp and Curly are known to have developed their comic personas on their own. Moe is credited with having written much of the Stooges' early material. But Healy no doubt contributed significantly to the shape and form of the team. You can see from the following clips that these performers were cut from the same cloth. 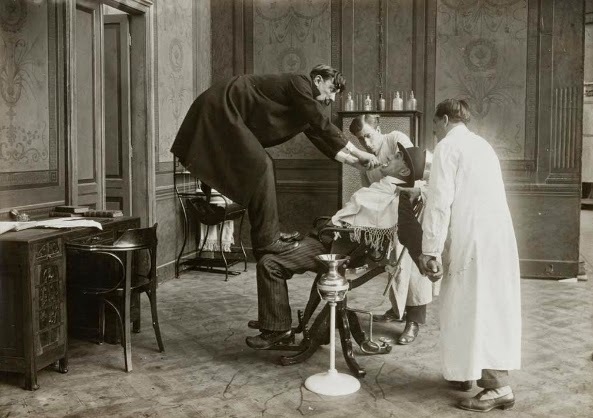 The Stooges were fortunate in that they had a number of clever individuals who helped to bring their unique talents to the fore. What would the Stooges have been without Columbia director Del Lord? The Stooges truly created magic when they teamed up with Lord, who combined the Stooges' stage personas with a freewheeling style of comedy that he had perfected in his days at Sennett. Healy had busy career in Hollywood. He appeared in thirty feature films in four years. The book makes it clear, though, that Healy was too unsociable and self-destructive to maintain a long-lasting career in Hollywood. He died of acute toxic nephritis, a condition that was caused by his excessive drinking. Much information is provided in Cassara's exhaustively researched book. It was intriguing to learn that one of Healy's friends was Frank Fay, another big-time stage comedian who did not know how to play well in Hollywood. If they had stuck around, Healy or Fay could have been wise-cracking their way through The Ghost Breakers (1940) or My Favorite Blonde (1942) instead of their protégé Bob Hope. This is not to diminish Hope's talent. He was more likable and engaging on screen than either the abrasive Fay or the even more abrasive Healy. But the point could be made that Hope rose out of their burnt ashes. Cassara is to be especially commended for putting to rest false rumors that Healy was murdered by a mob enforcer for gambling debts. The official investigation was credible and thorough. The rest is just gossip and myth. This book deserves attention for offering a rediscovery of the forgotten Ted Healy. The author provides the straight and complete story of Healy, which makes this book worth reading.